We offer a wide variety of destinations. Relax, we take care of everything. Our team speaks English, Spanish, French, Portuguese and Italian. We are flexible and able to adapt to your specific needs. 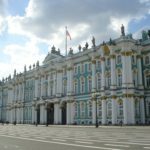 How to obtain a Russian visa? Foreign citizens entering Russia must have an entry visa in a valid national passport. Make sure that your passport is current and will be valid at least for 6 months after your departure. A visa to the Russian Federation is a document, permitting stay in Russia for a specific period of time. Visa lists entry/exit dates, your name, passport details, and a purpose of travel. Please note, that your Russian visa is an exit permit just like it’s an entry permit: if you lose it or stay over your designated departure date, leaving the country could be more troublesome than entering it. There are six different types of visas depending on the purpose of the visit, including tourist visas, business visas, and private visas. To obtain tourist visa you will need an invitation letter from the company which organizes the tour for you. Receiving your visa check carefully all information stated in visa. For more details, contact the Consulate of the Russian Federation. What to do if your baggage was lost? If you fail to find your baggage by the end of baggage receiving process, please address the Lost and Found department agent at the airport where you will be advised what to do next. Mostly the baggage is sent to the passenger by the airline – carrier within 5 days after you have declared about the baggage non-arrival. What is needed for check-in at the hotel? When you arrive at the hotel it is necessary to present your passport and emigration form for check-in at the reception of the hotel. Sometimes they also require your credit card in order to be sure that all extra services, such as breakfast served in room, will be paid. What are the customs requirements? When entering Russia, tourists will be asked to fill in the emigration forms (2 copies), which are given in the plane. Emigration forms must be as carefully kept as passports during the whole period of your stay on Russia. At a boarder check-point, tourists’ passports, visas and emigration forms must be stamped according to the official requirements. The date indicated on the stamp is considered to be the first day of the visitor’s stay in the Russian Federation. Souvenirs, including folk handcrafts items, need no permission to be taken out of Russia. However, it might be helpful to keep receipts, labels and cheque stubs. Transsib (Trans Siberian railway) is the world’s famous train route that goes through the whole Russia. Stretching for over 6000 miles all the way from Moscow to the Russian Far East. The Trans-Siberian Railway can claim to be one of the wonders of the modern world. Transsib connects European Russia with the middle (Siberia) and eastern (Far East) areas. Note please, that Trans Siberian Railway is not a train, it’s a route. You can take different trains along the route. Today Transsib begins at Yaroslavsky train station in Moscow and ends in Vladivostok. It will take you more than 6 days to travel along the whole Trans–Siberian railway. You will pass through 21 regions of Russia and cross 16 large rivers. Over 207 km Transsib passes along Baikal Lake and over 39 km by the shore of Amursky Bay of the Japanese Sea. There are 87 towns situated on Trans Siberian railway so it is recommended to make some stops along the route.